While it is most certainly not the only or most important factor, population growth forecasts are part of every well-considered property investment decision. 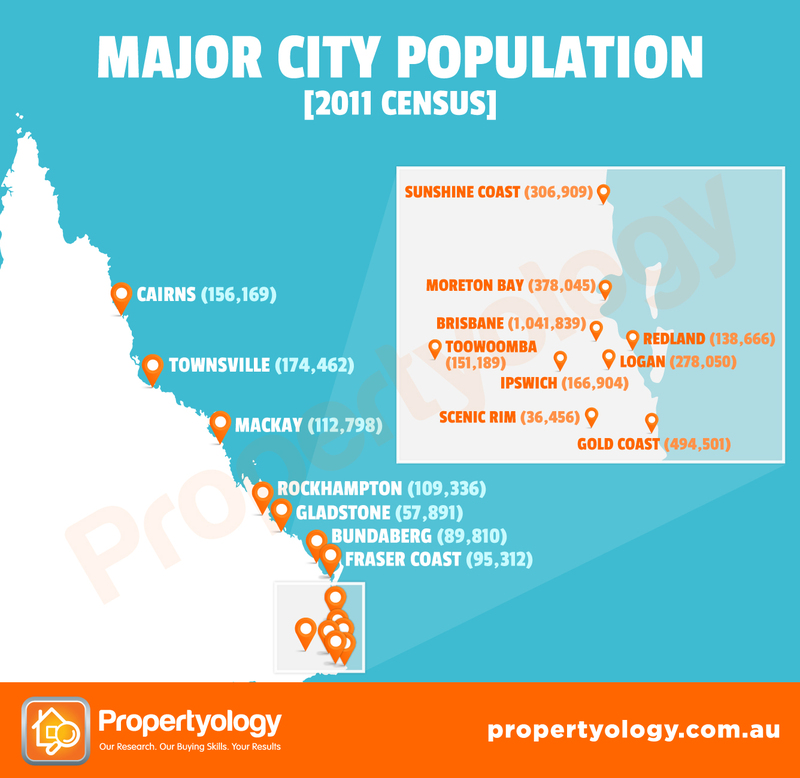 With eleven strong regional cities each with a population of more than 50,000 people, this is particularly important in Queensland where more people live outside the state’s capital city than it. Throughout the noughties era, Queensland’s population growth was a national success story. Over the last few years, the sunshine state’s population growth has been much more subdued with 2015 growth rate of 1.2 per cent being significantly lower than the 10-year average of 2 per cent. Propertyology believes that the recent slide is due to a combination of the coal industry downturn, fewer employment opportunities generally, and higher levels of state debt preventing economic stimulus. That said, we believe that there is good reason to be optimistic about Queensland’s future population growth. Tourism and agriculture are strong pillars of the economy which have a very promising outlook. Logic would also suggest that there’ll be an upturn for the mining industry at some stage in future years (the world will always need energy). Data from Queensland Treasury suggests that parts of South East Queensland, Gladstone, Townsville, and Cairns are forecast for the biggest population growth rates through to 2036. Brisbane City Council is the largest LGA in Australia. Population is forecast to grow at an average annual rate of 1.1 per cent through to 2036, well below the state average forecast of 1.7 per cent. The state is forecasting Greater-Brisbane to accommodate most of its growing population in Ipswich (4.2 per cent), Logan (2.2 per cent), and Logan (1.9 per cent). Gold Coast, Sunshine Coast, and Scenic Rim, all within the state’s south east corner, are forecast to grow at an average annual rate of 2.1 per cent. 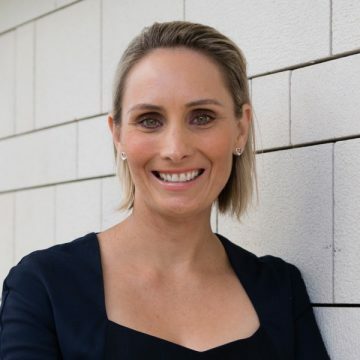 The state’s industrial powerhouse, Gladstone is expected to continue its long history of above-average population growth with 2.4 per cent average annual growth forecast. Gladstone has extremely valuable port and rail infrastructure and is the state’s epicentre for resources exporting and industrial manufacturing. While the property market in Gladstone has struggled recently due to an over-stimulated construction industry the raw fundamentals still include above average wages, strong population growth, and economic development. 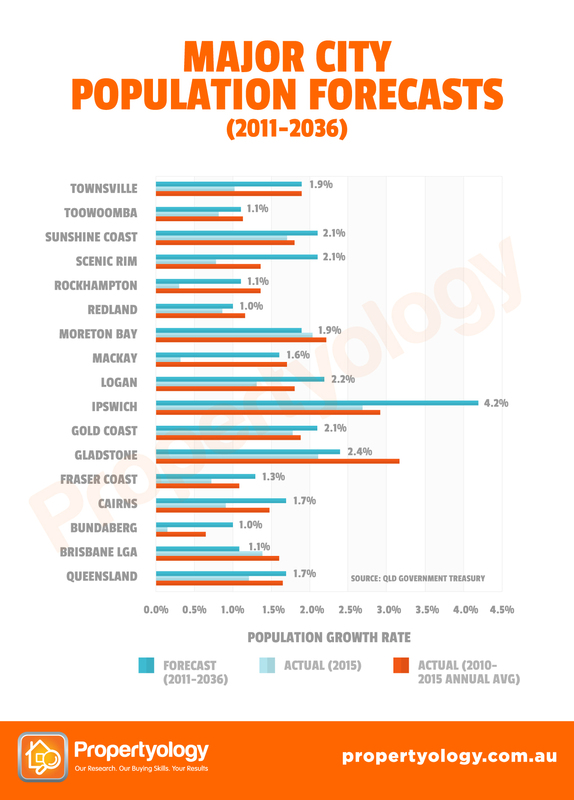 In the state’s north, Cairns (1.7 per cent) and Townsville (1.9 per cent) justifiably have population growth forecasts well above Brisbane’s 1.1 per cent out to 2036. Proximity to Asia, international airports, and deep sea port infrastructure will ensure that both cities play a huge role in helping Australia to capitalise in the Asian Century. Population growth is one of many factors which influence property markets. 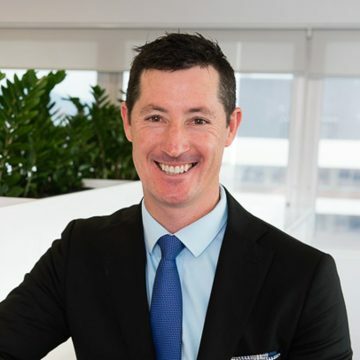 For a variety of reasons, Queensland markets which Propertyology maintains a keen interest include Rockhampton, Cairns, Townsville, Gladstone, Bundaberg, Toowoomba, and Scenic Rim. 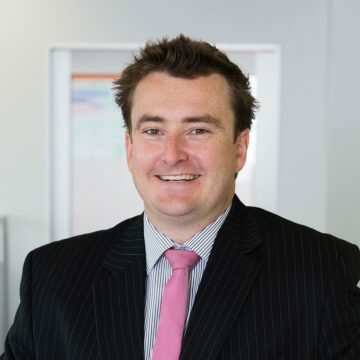 Simon Pressley is Managing Director of Propertyology, a REIA Hall Of Fame Inductee, property market analyst, accredited property investment adviser, and Buyer’s Agent. Propertyology works exclusively with property investors to purchase properties in strategically chosen locations all over Australia.